Do you crave an active lifestyle? Confused about when you can train during Christmas and New year? Here’s a calendar for you. 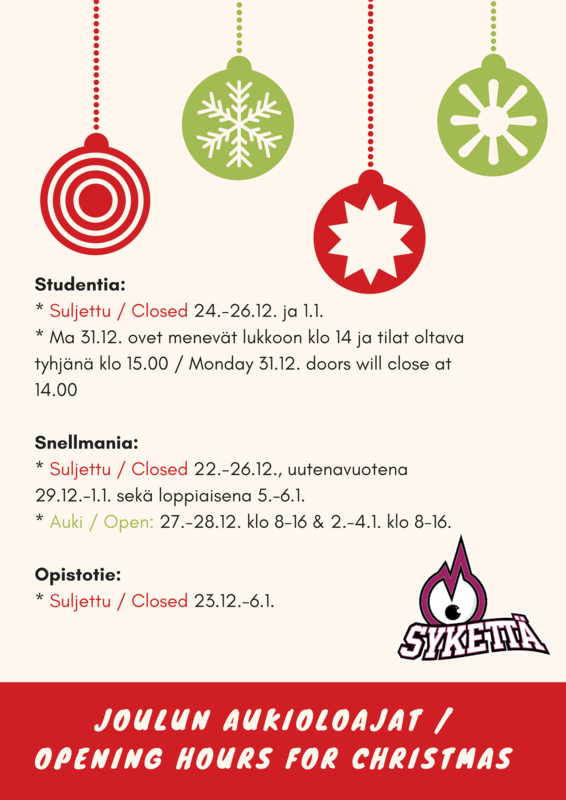 SYKETTÄ includes sport services for students and staff members in Savonia University of Applied Sciences and University of Eastern Finland in Kuopio campus as well as the students in HUMAK and Uniarts in Kuopio campus. At the centre of the services there is a diverse sports calendar which features more than 40 weekly sports classes and takes into account all movers from beginners to advanced. The goal is an active, social and well-being university community. Kuopio University Sports Services reaches more than 11’500 members of the university community in Kuopio. In the spring 2017 there were 2876 users in SYKETTÄ sport services.